Google Mail Service – Gmail is the most popular mail service provider in the world. Almost 80% Peoples using Gmail. You also have a gmail id. You can avoid unwanted phone calls, but how to avoid unwanted spam emails coming to your email inbox? So today I will tell you how to save your inbox from such spam email. The main reason for unwanted mails – leaked your mail address on the internet. Using your email id, you sign up on many sites and create account. These sites send you their newsletters. Many service providers promote their products by buying email lists, and if they have your email address here, then you receive unwanted mails. Well there are many reasons why you get such spam emails. But don’t worry, you can easily deal with those who send such unwanted emails. There are many ways on Gmail that you can block Spam emails forever, get rid of them. 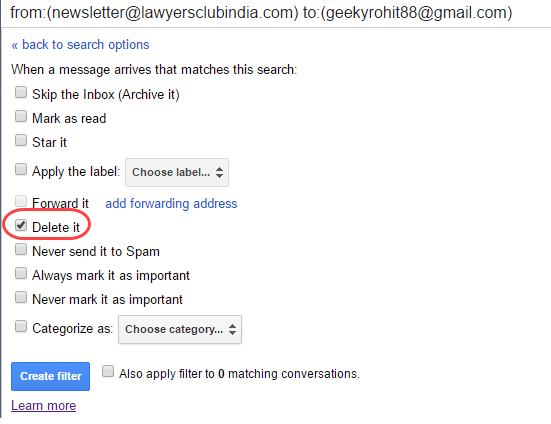 Let me tell you some such Gmail tricks that you can block unwanted emails. This is the most effective method of handling unwanted mails, you can block such mail senders. To block first, open that email. Now you can see your right-side down arrow (see screenshot), you have to click on it. Just click on the block in the options list. This email address is now blocked and whenever it comes, it will received on directly spam folder and it will also be deleted in 30 days. If you accidentally blocked someone, you can also unblock with the same option. 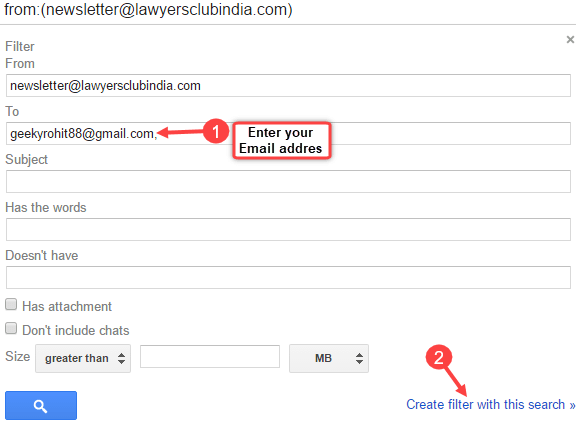 Suppose those spam emails automatic delete without your concern, yes on Gmail you can set Filters for those who send unwanted mails. Setting Filters will automatically delete such messages. First of all, open the email that you want to delete automatic. In the Pop up window, you can see Sender’s email address, you have to enter your email address in To. After this you have to click on “Create Filter with this search“. In the next step, you have to select ‘Delete it‘ and click on Create Filter. Now your filter has been created and whenever this Spammer will send you mail it will be automatic deleted. You can also use Report Spam to deal with unwanted emails. After reporting spam, the email address that sends you spam messages will be blocked and all its sent emails will be received in your spam folder which will be automatically deleted after 30 days. Now all mails sent by this sender will be received in the Spam folder and will be automatically deleted after 30 days. The last way to deal with unwanted emails is to unsubscribe them. Anyone who sends you email, at the bottom, or anywhere else, has an Unsubscribe link, you have to click the unsubscribe link and remove your email id from their mail list. By clicking Unsubscribe, you can stop incoming email from that sender. 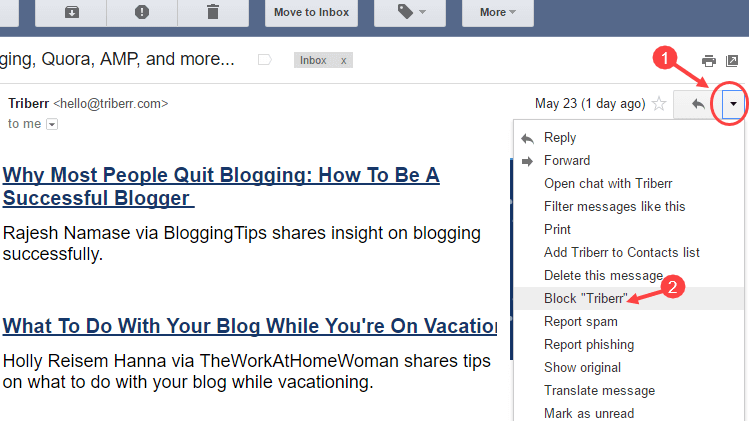 I hope you’ve come to know how to deal with unwanted spam emails coming to your Gmail and how to block them. If you have any other method, please share in the comment.